First FAA waiver for flight over people with a parachute system. The first FAA waiver for flight over people with a parachute safety system was granted to a UAS operator using the ParaZero SafeAir System and the subsequent drone flight was performed over people. The waiver for Part 107.39(a) has been granted to North Dakota operator, Botlink, using ParaZero’s SafeAir System on a DJI Phantom 4. The company utilized the waiver to perform missions for local law enforcement as well as for generating media content as part of the UAS Integration Pilot Program (UASIPP). 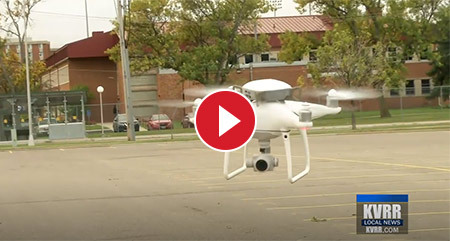 The first flights using the waiver were conducted during the tailgating event prior to the North Dakota State University vs South Dakota State football game at the FargoDome in North Dakota. The drone performed multiple flights over the crowds gathered in the stadium’s parking lots and provided important, real-time footage for local law enforcement and media companies. The new ASTM standard defines the requirements for the design, manufacturing, and testing of sUAS parachute recovery systems. Amongst other things, the standard requires an autonomous triggering system to detect failures and deploy the parachute without relying on the RPIC (remote-pilot-in-command) as well as a flight termination system to stop the motors from spinning. This standard will help UAS operators receive approval from Civil Aviation Authorities to fly small UAS over people. ParaZero is an active contributor to the global standardization effort for safe drone operations. We are members in the EASA and the Drone Alliance Europe programs and work alongside several of the world’s leading companies to set the groundwork for safe and regulated drone operations in different markets. We also consult the FAA and ASTM in various aspects relating to drone safety technologies. 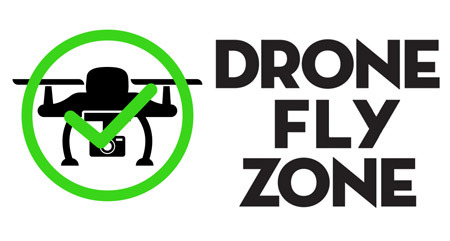 This provides us with a deep understanding of the list of requirements to comply with soon-to-be-announced drone safety standards and regulations. Our drone safety solutions are designed today to be compliant with the regulation of tomorrow. ParaZero’s drone safety solutions enable drones to operate safely over populated areas by not relying on any human intervention to trigger safety measures in times of emergency. This lead to the first waiver for autonomous drone operations beyond visual line of sight (BVLOS) issued by the Civil Aviation Authority in Israel to Airobotics, one of our clients. ParaZero was also chosen to participate in multiple UAS IPP groups in the United States.